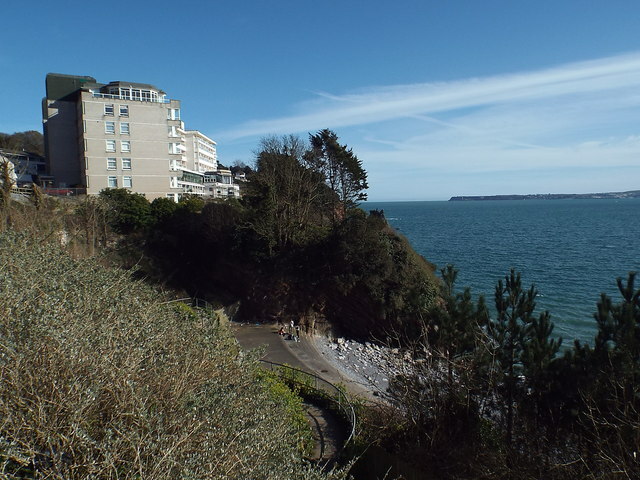 A view down onto Beacon Cove in Torquay. Perched on the hillside overlooking the sea is a block of flats and behind them, the Imperial Hotel. The headland visible in the distance is Berry Head, which marks the southern end of Torbay.